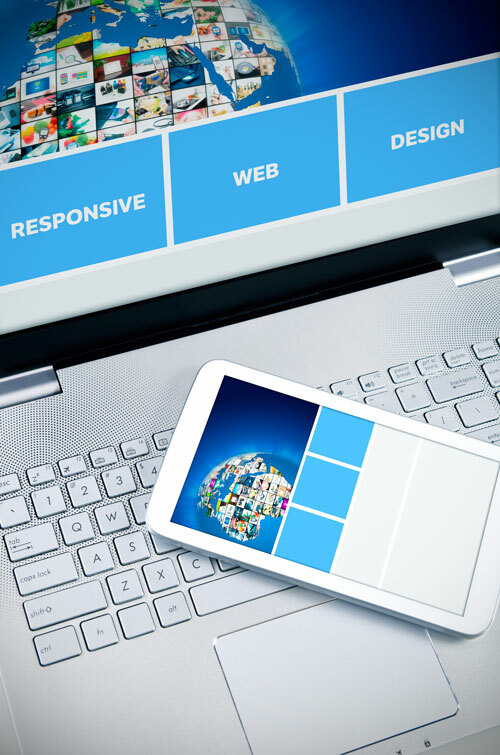 Henley Graphics builds all of our websites with a “Mobile Friendly” website design model. Our websites are readable and user-friendly on smart phones, tablets, laptop or desktop computers. The website content is consistent as well across all devices, a very important factor in overall Search Engine visibility and the user viewing experience. We see up to 30% to 50% of total traffic is from mobile devices on our clients’ websites. If your website is not mobile friendly you could be losing website traffic. Mobile Friendly website design is also Google’s recommended format. If you have a Mobile Friendly website then it will be in a more favorable position for Google’s search engine rankings. Google now looks at your website’s mobile friendliness as part of its search ranking algorithm. Google ranks it higher on how well your website’s mobile friendliness is because it can see what the page would look like on various phones and tablets. Want a great looking website that puts your business in the best light? Let Henley Graphics design and build it for you. Our expert team will create a website with the look and feel you want and the functionality your business demands.